If you are looking forward to the Pacific Rim movie sequel Pacific Rim Uprising, you should join our Pacific Rim 2 Movie forum - a dedicated community of fellow Pacific Rim and Kaiju movie fans! Stay up to date with the latest news on Pacific Rim Uprising by liking Scified on Facebook and by following us on Twitter and Instagram! Also, consider subscribing your email to our Pacific Rim 2 blog for instant notifications of when new posts are made! Pacific Rim 2 was almost titled Pacific Rim: Supermassive Robot Attack. Really. New Pacific Rim Uprising 2019 Bandai model kit unveiled! Pacific Rim Anime series coming to Netflix! Pacific Rim Uprising fight scene and Kaiju movie artwork! 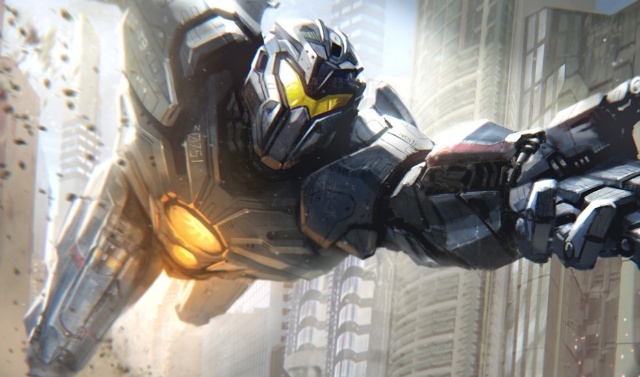 Epic Jaeger and Kaiju concept art from Pacific Rim Uprising! Looks nice. Wished they did that in the movie instead of what they did in the final film.